We have our last meetup of the year coming up on the 27th of November. Transferwise are our sponsors and we will be hosting the event at their office with pizza and beer on Monday November 27th 6:30pm – 9:00pm. Talks will begin no later than 7:30pm as we will be leaving the venue at 9:00pm. Buy your ticket on Eventbrite to secure your place. We have three great speakers for the event. 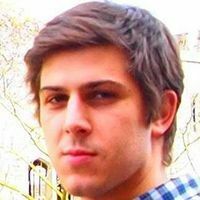 Fabrizio will be covering top line how they work with engineers to build products and CMSs to scale organic search acquisition. Fabrizio is a SEO specialist at TransferWise where he leads the in-house SEO team. Previously at Neo@Ogilvy consulting enterprise clients across finance, e-commerce & tech. TransferWise is a financial company launched in 2011 with the following mission “Money without borders – instant, convenient, transparent and eventually free”. Over a million people are transferring more than £1 billion every month, saving themselves over £1.5m/day. The service covers 750+ routes in 42 countries. TransferWise is growing 150% year on year with 700 people globally in nine offices. Chloe Bodard is the Senior Search manager at Ricemedia, Search and Social Digital Marketing Agency. 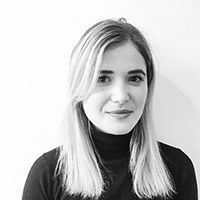 Working agency side for several years, and with clients from all sectors and sizes, Chloe specialised in all things SEO, helping clients build SEO friendly sites, migrate website effectively and increase their search visibility and ROIs from digital marketing campaigns. Chloe will be talking about “How to successfully undertake a site migration and increase search visibility”. From the initial full site audit to new site suggestions and migration technical guidelines to staging site crawls, error fixes and post go live technical checks, Chloe will be covering all essential parts of site migrations, providing you with practical advice, checklists and recommendations to ensure migrations are synonymous with increased visibility. We also have Maria Camanes Fores, Technical SEO Consultant at Builtvisible. With a background of writing and Journalism, Maria is passionate about optimising websites from a technical point of view and is always improving her coding skills through programming language courses. Migrating to a more secure web can have multiple benefits, but if not done correctly it can put your organic search traffic at risk. So many things can go wrong when switching a site from HTTP to HTTPS and underestimating the challenge can lead to a disaster, but with the right planning, those risks can be mitigated and almost entirely eliminated. Don’t miss out on the last Search London meetup for the year. Follow SearchLDN on Twitter or on Facebook to keep up to date with the latest news about the meetup.